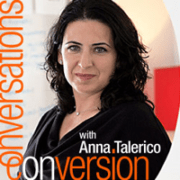 Discover how to identify what keeps visitors from converting on your site. Five factors you MUST look into to improve online conversions right now. There’s one thing, one thing that’s keeping your visitors from converting on your site. It may not be the only thing, but it is the primary thing that your online business isn’t delivering the results you expect. It’s where you start when you optimize your website. The Value Proposition and Messaging isn’t clear. They perceive risk when considering taking an action. You aren’t showing up as credible and authoritative. They want to know if others have benefited from you. Your design and layout aren’t helping them digest the buffet of content you’re presenting. Find out what keeps visitors from converting on your site and start testing to increase your conversions right now. All of these website elements are used to let your visitors know how you solve a set of problems, and why your solution is the best choice. The one that will save the most time and money, or that will deliver the most satisfaction. But your value proposition doesn’t have to be communicated through words and images alone. Video, audio and animations are proven ways to communicate your value to a prospect. Digital media gives us the amazing ability to put anything onto a landing page that our hearts desire. And if you can do anything, how do you know which is the right element to use? Here lies the conundrum. If you feel that your traffic is good, and is coming to a relevant page, then we should ask if the lead is hitting the mark. By “lead” I am referring to the headline + hero image. Often, hero images are wasted on something non-concrete. The headline should act as the caption for the image it accompanies. Don’t show a city skyline. Don’t show a person smiling at a computer. These things don’t scream for meaningful captions and don’t help conversions either. You should also look at the words you use in your main navigation. These should communicate what your site is about in the words of the visitor, not just the structure of your website. In general, more people make decisions based on fear than on opportunity. So, your amazing value proposition is destined to die in the minds of many of your prospects because of fear. What if my identity gets stolen? Will a pushy salesman call? Will I have to deal with tons of email? Placing these items in clear view near a call to action can do wonders for your conversion rates. There is a potential danger. Your risk reversal tactics can actually put fear into their mind. If social proof is your one problem that keeps visitors from converting on your site, customers don’t feel that you’re right for someone like them. Make sure you show them that they are in the group of people that benefit from you. Ironically, it also serves to answer the question, “Just how bad was a bad experience with this company?” This is why negative reviews have proven to increase conversion rates on eCommerce sites. Cleaning your reviews or only posting good reviews can shoot you in the foot. Is it Lack of Credibility & Authority What Keeps Visitors from Converting on your Site? If you are in an industry with lots of competition, or with “bad actors” who manipulate to get sales, your one problem may be credibility and authority. The design of your website is one of the first things that communicate credibility. But be careful. A fancy, overly-designed site may communicate the wrong idea to visitors. It may convey that you’re expensive or too big for your prospects. Credibility can be established by emphasizing things about your company, and by borrowing credibility from other sources such as, your clients. your payment methods, you media appearances and the like. You gain credibility by building confidence with your brand and value proposition. How long have you been in business? How many customers have you served? How many products have you sold? How many dollars have you saved? Brand credibility generally takes the form of implied proof. Have you been interviewed or reviewed in well-know publications? Have you been interviewed on broadcast media outlets? What associations are you a member of? What awards have you been nominated for or won? Has your business been rated by consumer organizations like Consumer Reports or the Better Business Bureau? Have your products been reported on by analysts such as Forrester? Place proof of your associations on your site’s landing pages to borrow authority and credibility from them. Nothing works if your visitors eyes aren’t guided through your pages. No value proposition, no risk reversal, no social proof, no credibility stands a chance if the layout and user experience don’t help the reader understand where they’ve landed or where to go from there. The first thing to look at is site performance. If your pages load slowly, you visitors may be bouncing away. If any element requires a loading icon of any sort, you are probably providing a poor user experience. When a visitor looks at a page, it should be very obvious what is most important element and what can be looked at later. This is called a visual hierarchy. For example, we like to make call to action buttons highly visible, so that it is clear to the reader that they are being asked to do something. Designers use their knowledge of whitespace, negative space, font, font size, color, and placement to design an experience that is easy for the visitors’ eyes to digest. A good user experience has little place for novelty. Arbitrarily adding animations, fades, parallax images or scroll-triggered effects are generally unnecessary, can cause technical glitches and may actually hurt conversion rates. We recommend this process to determine the primary problem that keeps visitors from converting on your website. Don’t be surprised to have dozens of ideas for a website or landing page. The ROI Prioritized Hypothesis List spreadsheet has a column for classifying each idea. There will also be some things that you just want to fix. Count out how many ideas you have for each category. The category with the most ideas is probably the one problem you should address first. We use a pie chart to illustrate the different issues. Begin working on the ideas in the category with the most ideas. This is a great time to start AB testing to see which of your ideas really are important to your visitors. Your search traffic will demonstrate their approval through more sales, more leads and higher conversion rates overall. It is a lot of work. But you could consider hiring us to identify what keeps visitors from converting on your site and we will test our way to your success. You can request a free consultation with us. This article is an updated and revised version of our original article published on Search Engine Land. 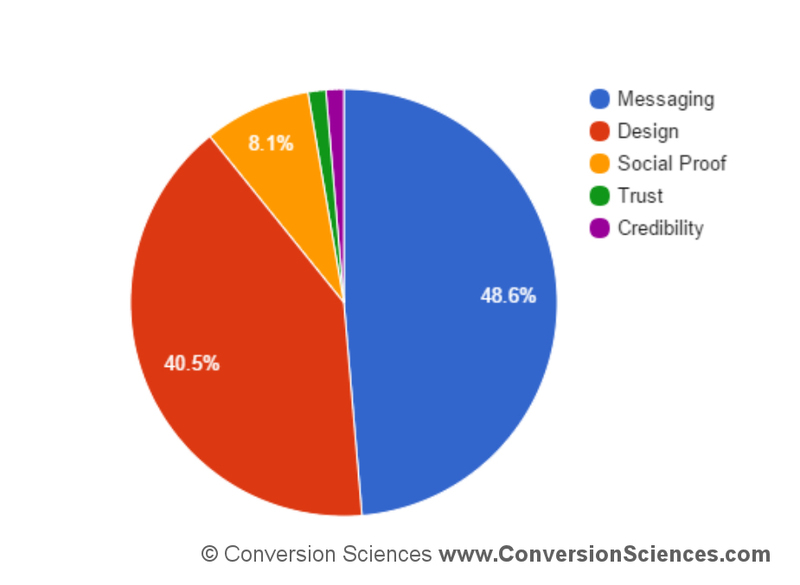 https://conversionsciences.com/wp-content/uploads/2019/02/Hypothesis-list-breakdown-example-pie-chart.jpg 676 925 Brian Massey https://conversionsciences.com/wp-content/uploads/2018/11/conversion-sciences-conversion-optimization-agency.png Brian Massey2019-03-28 07:16:482019-04-04 12:57:46What Keeps Visitors from Converting on your Site?